WHAT DOES PETER DO ON SUNDAYS? 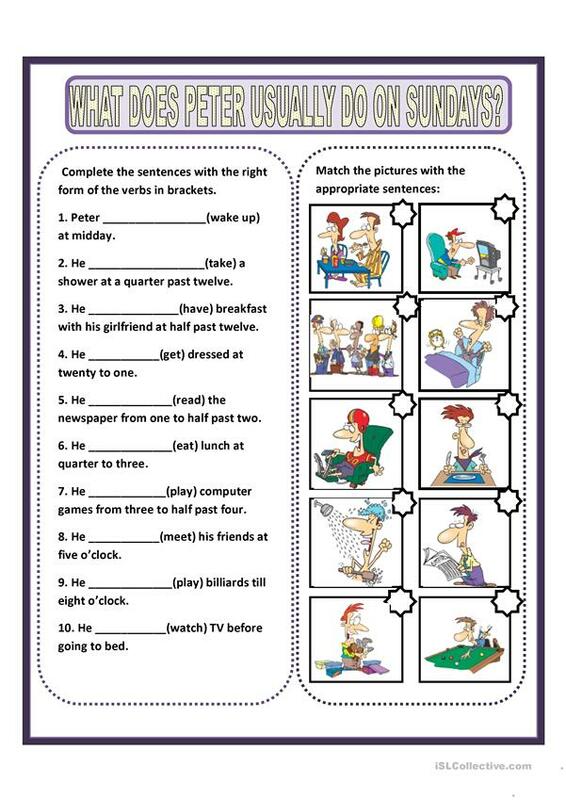 It's a matching exercise to practise the present simple. Thank you. This downloadable printable was created for high school students and elementary school students at Beginner (pre-A1) and Elementary (A1) level. It is aimed at consolidating Present simple tense in English, and can be used for enhancing your class' Spelling, Reading and Writing skills.